Top 4 are now fired up to sing their hearts out in The Voice of the Philippines Season 2 Grand Finale to reach out for the public’s votes. Live in the Resorts World Manila, they will go head to head in for set of performances. 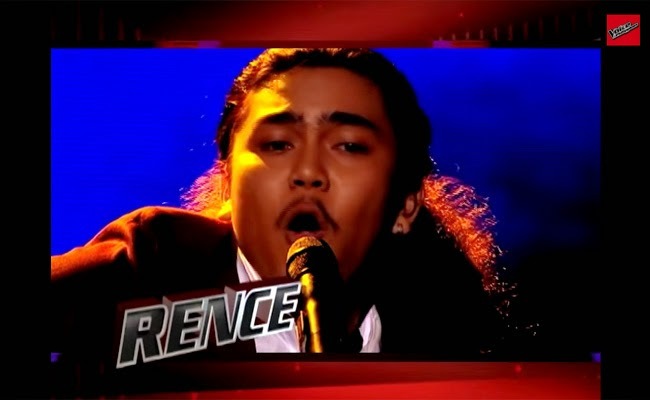 Rence Rapanot admitted that he was surprised to see all four coaches turning to him in the blinds audition. He was thankful that Bamboo was able to teach him alot more than he expected. At first he was skeptic about singing English songs but Bamboo showed him that he can do it too. Relating the tree best moments he had in his journey, those were passing the blinds, bonding with his camp mates and having his family as an inspiration. With Joey Ayala singing ‘Karaniwang Tao’ , Rence seemed at home on the stage, singing his beloved OPM. Apl congratulated him for singing with iconic artists. He also expressed how proud he is for Rence’s advocate to raise the OPM in the music industry. He has a vision that someday, Rence will be an OPM artist, to which Lea said that he is an OPM artist now. Rence and the other artists singing with him seemed to have sung flawlessly and without any effort, as if they had practiced for a week. Rence had gone so far, will he be the one to bring home the grand title? Who will you vote for?